Bali and honeymoons go together like peanut butter and jelly, and it is what most people would know the island to be best for. As much as it is beautiful and serene in its own right, it is about to come alive in a totally new way by becoming the location for a music fest with the theme of virality. 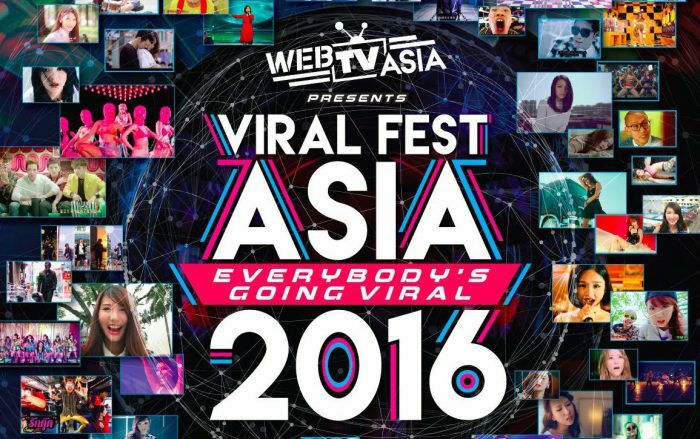 Come July 16, Asian digital media entertainment group, WebTVAsia will be hosting an all-star line-up of 27 renowned Asian artistes through VIRAL FEST ASIA 2016. WebTVAsia is a YouTube-based multi-channel network that garnered over two billion views in its first year of operation. From partnerships with media brand giants such as Youku and Tudou, to successfully organising Asia’s first ever digital creator awards, WebTVAsia Awards 2015, WebTVAsia is set to hit new heights with this music festival. Billed as Asia’s biggest digital music festival, the likes of K-POP superstar, Hyuna, Namewee and Noh Salleh, the lead vocalist of Malaysian band, Hujan, will all be making an appearance there. Hyuna, former member of the chart-topping girl group 4Minute will undoubtedly be one of the biggest draws, but many Malaysians will be looking forward to supporting local acts who made it big, particularly: Namewee who was recently nominated for the Best Male Singer at Taiwan Golden Melody Awards; Joyce Chu, the pretty girl next door from Johor who rose to fame with the video “Malaysia Chabor“, which currently has 14.8million views on YouTube; and Noh Salleh of Hujan, widely considered to be one of the best contributors to the alternative music scene in Malaysia. You can view the full list of performers here. Themed “Everybody’s Going Viral”, the event is expected to hold a crowd of 8,000 people. The event will begin from 5pm on 16 July with performances beginning from 6pm all the way through to 11pm. The festival will then close with an EDM party from 11pm-2am the following day. Tickets for VIRAL FEST ASIA 2016 are available through www.viralfestasia.com or www.loket.com.